Students in Quebec, whose strike shut down the province's higher education system for the first half of this year, celebrated the achievement of their top goals last month when the new Parti Québécois (PQ) government announced it was rescinding a planned tuition hike and repealing most of the repressive Law 12 aimed at restricting the right to protest. Quebec's new Premier Pauline Marois took office on September 19 after former Premier Jean Charest and his Liberals suffered a humiliating defeat as a direct result of pushing for the tuition increase and trying to intimidate students to end their strike. Marois and the PQ immediately honored their campaign promises to students, though some parts of Law 12 will remain, and fees could still rise under a plan for indexing tuition to the rate of inflation. Students have won a clear victory--and vindication for a movement that inspired people fighting austerity around the world. 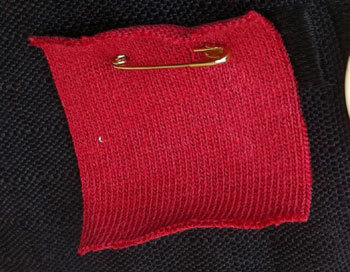 The heart of the fight was grassroots mobilization, led by the Coalition large de l'association pour une solidarité syndicale étudiante (CLASSE). After the walkout spread throughout the province, Charest tried to stifle the movement by passing Bill 78 (Law 12), which suspended school and restricted the right to picket and protest. The move backfired. Not only did students step up their demonstrations, but working people began participating. Charest called an election in the hopes of winning a new mandate, but the PQ won a sweeping victory after campaigning on the promise to meet the students' demands. CLASSE spokesperson Jérémie Bédard-Wien spoke with Ashley Smith of Socialist Worker (US) about the victory--and what comes next. How does CLASSE view the results in the recent election in Quebec? The Liberal Party, which had pushed relentlessly for the tuition hike and imposed the repressive Law 12 to stop our strike, suffered one of its biggest defeats ever. Premier Charest lost his seat, lost the Liberal leadership and lost the premiership in one day. The Parti Québécois (PQ), which won the election and now governs Quebec, has just fulfilled its promise to cancel the tuition hike and repeal parts of Law 12. These are both important victories for the student movement. Why do I say that this victory belongs to us rather than a victory for the electoral process or for the PQ? It's because these political parties respond to pressure. That's their basic nature. Charest's Liberal Party responded very well to pressure from corporate boards, to pressure from university administrations, to pressure from the police, from big capital throughout the strike. In turn, it responded to the strike to defend those interests. The PQ operates a little differently. Of course it answers to those lobbies that I just mentioned, but historically it has also been responsive to strong social movements. In 1996, for instance, when Pauline Marois , who was then Minister of Education, declared her intention to raise tuition, it was met by a general strike. It lasted two weeks. Under that pressure, she relented. The PQ prides itself on maintaining social peace through conciliation, and as such they responded to the immense political, economic and popular pressure that we mounted this spring, our Maple Spring, by answering our basic demand--thus leading to the end of the tuition hike. By conceding this, the PQ hopes that our mobilization will cease. This is not because they are kind-hearted, not because they will inherently defend public services; it's because they are afraid. They're afraid of further mobilization. They're afraid that the thousands of students that put their trust in the electoral system would not take kindly to the PQ breaking their promises. By conceding to our struggle, they have delayed the tuition hike. This does not mean, however, that tuition increases are behind us. It is important to note that we never fought for the status quo. We do not accept the current status quo. We are still paying for higher education. Instead of accepting this, CLASSE, since our foundation and throughout the strike, has put forward the demand of free higher education: both from tuition fees and corporate influence. The new government is not only opposed to this model, but wants to push through on its promise to index tuition to the rate of inflation. We are therefore committed to continuing the mobilization to push the government to deliver education as a social right that is free of cost. We will continue to mobilize in the run up to the Education Summit, which the PQ has promised to hold in its first 100 days of government. We must make sure first and foremost that the summit is not bogus, that it is not shaped by university administrations and the private sector. That's who Minister of Education Pierre Duchesne will be inviting to the summit. We must also reach out to other stakeholders to discuss their own plans and boldly attempt to gather them under one banner: free education. So the General Assemblies of the student unions will have to discuss the summit. We will have to answer a number of questions. Will it be rigged? Will we be able to put forward our demands? How do we see our participation? If it is rigged, would we hold an alternative summit or protest? Regardless of what we decide in the General Assemblies, we know that we will need to bring strong leverage to the table, and that leverage is built by mobilization through demonstrations and further strikes. That's the reason we have accomplished what we have so far. How has the PQ victory and its repeal of the hike and Law 12 impacted the student movement? Has it dampened the energy of the movement? Most students and members of CLASSE recognize the election results as a victory for the student movement rather than for PQ. I do not think this will deter further struggle. It may not be as large initially, but in our General Assemblies we've seen many motions supporting the idea of further moments of mobilization, further demonstrations ahead of the Education Summit. CLASSE members are committed to projecting our demand for free education in the run up to the summit. As such, it's clear that an important sector of students want to keep up the incredible mobilization that began in the spring. That's because broad sections of the movement agree with the goal to change the very nature of our post-secondary institutions. We see our achievements as a first step. This view is reflected in the General Assemblies, which are discussing what is the best way to keep putting a progressive vision of education on the table. No one really said, "Oh well, the PQ was elected, we can now go back to our usual conciliatory mood." That's not what CLASSE is about. The other student union federations have, however, gone back to their usual mode of political action: politely being consulted. That's a shame. But I'm very confident we'll be able to attract many student unions around the idea of free education. CLASSE can only hope to be strengthened ahead of the summit and, more generally, ahead of the next big struggle. How have these other union federations reacted to the PQ victory? The student federations have already gone back to conciliation with the government. This is explained by the fact that, historically, the federations have been extremely close to the PQ. The PQ helped found them in the early '90s and so their relationship is very strong. The PQ will now in turn treat them as the prime representatives of the student movement. We must try to establish that this is not the case. In reality, CLASSE has been the driving force of the student strike. The federations will be losing a lot of steam in the next few months and years as students realize that the federation's conciliatory relationship with the government will not achieve radical change in the university system. Lobbying does not achieve concrete results. As we have proved this spring, mass mobilization--our demonstrations and especially our strikes--is the winning strategy. CLASSE plans to be assertive with the new government. We've asked for a meeting between our negotiators and the government to find out more about the summit. Based on what we find out, we will then be able to take a stance. We know that the representation will be as follows: a third of the seats around the table will be given to students, which means all four national student unions; another third will be given to the government; and the last third will be given to what they call "civil society." We are particularly worried about this catch-all term "civil society." It's a great way for the government to describe the elite allies they will want to invite. The government would much rather invite administrations and the private sector. CLASSE, in stark contrast, has been asking for Estates-general of education to be held--gathering the broader university community. Those students and workers should decide the fundamental orientation of our education system. What are the other union federations saying about the PQ proposal to index tuition to the rate of inflation? The former president of FECQ, Léo Bureau-Blouin, ran on the PQ ticket and won. He is now a rookie MP and is telling the media that indexation is the consensus position. Suddenly, freezing tuition is a radical idea. But indexation was never presented as such. We must see the Maple Spring as a step in a long movement for free education. We decided on a compromise: for now, we would demand a tuition freeze. A consensus position, certainly. In reality, indexing tuition to inflation is a hike in disguise. We in CLASSE completely reject retreating from the basic demands of hundreds of thousands of students. In fact, we are in favor of repealing all tuition in higher education. CLASSE was initiated by the radical student union L'association pour une solidarité syndicale étudiante (ASSÉ) as a coalition for the student strike. Now that the strike has stopped for the moment, will CLASSE dissolve? That remains to be answered. A lot of us were expecting CLASSE to be dissolved, since it was a strike-time coalition and the strike is over for now. But several unions in their General Assemblies have discussed maintaining CLASSE until the Education Summit, so that we can unite as many unions as possible around the political project that CLASSE will be pushing for during the summit. We will decide whether to keep CLASSE together at our Congresses. At the same time, ASSÉ has been dramatically strengthened. We have seen more than 20,000 new members join during the strike, and we are continuing to grow. We hope to see at least two large student unions join ASSÉ permanently in the next few days. And many votes to affiliate will be held in the next year. It's very important to strengthen ASSÉ because it has played a pivotal role within CLASSE to advocate direct democracy and radical positions on education. ASSÉ will be important in all student struggles against further attacks on education. We must be prepared to mount an even stronger response the next time around--and especially in the run-up to the summit, as we want to regroup students around a political project that goes further than the status quo. What plans do CLASSE and ASSÉ have beyond the Education Summit? First, we must make sure improvements to the governmental loans and bursaries program (AFE), initially designed to "compensate" for the tuition hike, are kept. The end of the hike and the continuation of those programs are not mutually exclusive. We've also had some discussion about reaching out to the rest of Canada in the next year or so to work together against the neoliberal policies of Stephen Harper's government. We have been given a mandate to prepare such a coalition. The federal government, to an even greater extent than the Quebec government, has imposed neoliberal policies that affect broader society. These range from education issues and environmental issues to issues of democracy. We hope to continue organizing with our English Canadian comrades. This is not something we used to do previously, as there were few links between the Canadian left and the Quebecois student movement. During the strike, we forged new relationships, as Canadian students were extremely interested in what we were doing. They all started to ask, "Why are we paying more tuition in Canada than they do in Quebec?" Our answer to them is simple: Quebec students have been struggling for years and have succeeded in maintaining a freeze, at the very least. Now they are starting to discuss learning from our experience of struggle and doing the same kinds of things we do. There's a lot of outreach being done, and it will be one of our focuses, I expect, in the next year or so. What has been the experience of organizing speaking tours to tell the story of the Maple Spring? It's been quite amazing. I'm responsible for helping to organize those tours, and let me tell you it's been mind-boggling how many requests we get for speaking engagements--in the rest of Canada, in the U.S. and internationally. To assemble 20, 30, 50, 100 people in a room and to be able to speak in detail and in depth about this experience, about how it came about, about the organizing principles that lie behind it, will hopefully establish a stronger left in other countries, stronger social movements, and organizational ties with the students we are meeting. Solidarity is an important first step, but it must be followed by action. If we are able to spark something by going on these tours, then it makes them all the more worthwhile. That's our mission. Reaching out to students, telling them about the lessons we learned the hard way during the strike, but also learning from them and their experiences. There are many social movements that are gathering steam in the rest of the world. It's important for CLASSE to continue linking those social movements with our own. We are part of an international struggle against the policies that are being imposed by every single government, whether led by social democrats or conservatives. They all sponsor these same policies. So we must mount a global response. In that sense, these speaking tours may light the spark in some places where perhaps the context is much more difficult for the left to organize. At the high point of the struggle, CLASSE raised the idea of a social strike, of broadening the movement beyond students and into the working class. What kinds of discussions have you have about pursuing that project? I believe it's necessary for us to go beyond our core, student-focused demands. If we are only concerned with the immediate material threats to students, then we will not be able to achieve that broader mobilization that will prove necessary to ever achieve serious social change. Our strike did focus on the hike, yet it also represented broader resistance to the politics of the Charest government. It really turned into that in April and May when organizations and affinity groups actually lost control of the movement's agenda. And that turned out to be a very good thing. The movement was put into the hands of the broader population, which went into the streets every night to bang on casseroles in opposition to Law 12, among many other grievances against the government. It was certainly the most impressive moment of the strike. Slowly, they regrouped under neighborhood assemblies. The loosely organized groups are still functioning. They are still holding meetings. Hopefully, they will strengthen in the next few years, attract a larger share of the population, and discuss perhaps political objectives for further mobilization around a variety of issues. The assemblies will need to address broader political issues. Because the neoliberal attacks are not over, we must go further than simple reaction. We must put forward an alternative project for society. And these neighborhood assemblies--popular, alternative democratic spaces--are essential to the realization of that project. We need to pay particular attention to the unions. They are certainly changing. They have been changed by the strike. Never before have those big labor federations even discussed the idea of going on an illegal political strike in solidarity with the student movement. That's a fantastic step for unions that had traditionally followed a business-union model. At the same time, the leaderships of some of these national unions are threatened by our militant vision of unionism. We must therefore deepen our relationship with the base of the unions to pressure their leadership to act in a militant fashion if they are going to act to stop further neoliberalization in Quebec. We will maintain contact with both neighborhood assemblies and unions. We've already discussed how to integrate them in some of our structures. For instance, we want to attract as many groups as possible within our regional councils--any group can become members. For instance, our regional council in Quebec City is very strong and represents all sorts of organizations, from community organizations to student unions and neighborhood assemblies. So we work on mobilization around common political objectives. The strike may be over - for now - but these structures will be maintained over time. That's one of the great successes of the Maple Spring: It has led to the creation of those lasting structures, which we'll be able to count on when the next struggle comes around. What plans does CLASSE have to continue the monthly strikes and demonstrations on the 22nd of every month? So far, several unions have decided that they will go on strike on every 22nd. Ironically enough, it seems one of the main victories of the student movement will have been to impose 12 new statutory strike days every year! The demonstration we just had on September 22 focused on projecting our demand for free higher education. We've been able to move beyond blocking this tuition hike. We can now finally concentrate on the core demand that the student movement has advocated ever since began in the 1960's--that is, free education. The demonstration on the 22nd did not garner the same numbers as previous mobilizations did--and as such, it was violently repressed. However, our movement is not only about numbers. It's about maintaining mobilization around a progressive, radically different vision: going beyond the unhealthy culture of consensus politics; reaching out to the broader population to seek support for a bold idea; and combatively building leverage to see them implemented. We are at the very beginning of a long struggle for the transformation of education--in Quebec, Canada and the rest of the world.